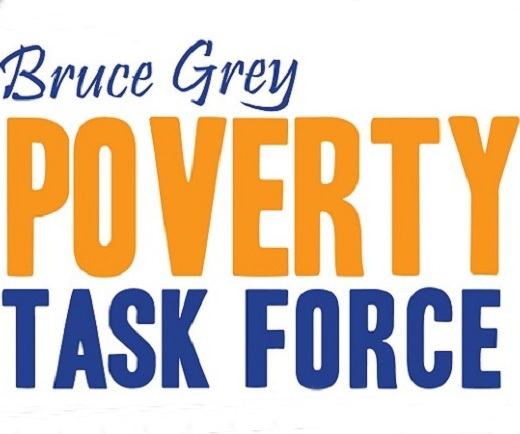 United Way of Bruce Grey and the Bruce Grey Poverty Task Force wants to put a spotlight on poverty in our community. Basic needs are increasingly out of reach for people living on low-income, and people with insufficient income face impossible choices every single day. For people living with disabilities, further barriers related to employment, social exclusion, and higher cost of living make it even more difficult to thrive without comprehensive supports. After the 1.5% rate increase in October 2018, a single person receiving Ontario Works will still be 65% below the poverty line receiving only: $ 732/month. On average,1 949 households per month access Ontario Works in Grey County and Bruce County in 2018. Balance were dual parent families or couples with no children. ODSP (Ontario Disability Support Program) has a caseload of 6855 households in Grey Bruce. A single person on ODSP is 55% below the poverty line receiving $1 151. Ontario’s low income cut-off puts the poverty line at $2 080 for a single person. Any increases to Ontario Works caseloads are attributed to positive changes in regulations around income supports such as child support no longer being considered income, increase asset limits which allow people to keep more of their earned income and savings as well as the eligibility requirements for youth 16 and 17 living on their own. Transitioning people out of poverty and to a life of sustainability requires many supports. Access to transportation, childcare that is affordable and fits the schedule of the jobs available. We also need to ensure that the right supports are there for the right demographic of people needing supports. With 62% of recipients being singles, we need to ensure there are supports beyond those just focused on children and families. The United Way of Bruce Grey and the Poverty Task Force look forward to working with the new Provincial government on addressing rural poverty needs.